Paparuda is based on a Romanian folk poem, a pagan rain dance song. During a period of heat and drought the rain goddess is implored to finally let it rain, to refresh people and to water the earth, so that it can bring forth fruit and flowers abundantly. The composer George Balint (b. 1961) has set this ritual to music for mixed choir, in an impressive piece with thrilling rhythm. 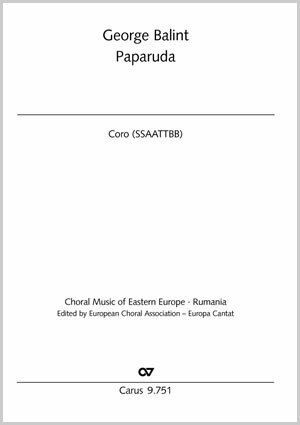 As well as the Romanian text, a singable German and English version is included.